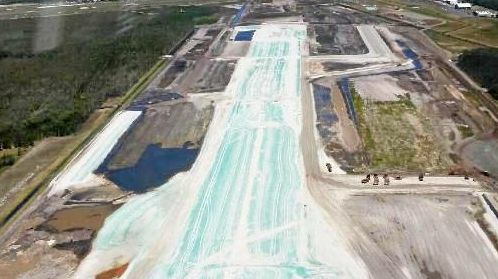 SOIL and water are being tested at the Sunshine Coast Airport expansion site to determine the extent of a chemical contamination caused by firefighting foam. The foam, used by Airservices Australia at the airport between 2004 and 2010, contained PFAS chemicals that have been found to have contaminated sites around Australia. The Department of Health rates the release of these chemicals into the environment as an "emerging concern" because they are highly persistent, have been shown to be toxic to fish and some animals and can accumulate in the bodies of fish, animals and people who come into contact with them. But the department also says there is currently no consistent evidence that exposure to PFAS causes adverse human health effects. Regardless, their discovery has prompted further investigations by Airservices Australia and Sunshine Coast Council. A council spokesman said the levels found were very low compared with what existed at other airports around Australia and were not considered significant. "The levels are in line with new national and state guidelines released in 2018, where site disturbance occurs, soils and groundwater from the site will be tested and treated as a precautionary measure if necessary," the spokesman said. "This will be managed through a process of selective removal of soils and dewatering and storage of groundwater in accordance with Australian standards." He said it was standard practice on construction sites where excavations where required and where the groundwater level was close to the surface. "This groundwater will be tested against relevant water quality guidelines before being treated as necessary." He said the process was not anticipated to impact on the completion date for the airport expansion project. "Airservices Australia has developed a national program for addressing their legacy PFAS issues in consultation with all relevant State and Federal Government agencies. "Council is engaged with this process to ensure appropriate accountability is taken for the management of legacy PFAS matters going forward." An Airservices Australia spokeswoman said the organisation was yet to finish its preliminary site investigation but expected it would completed in coming months and the results published online. The investigation was launched in 2016. 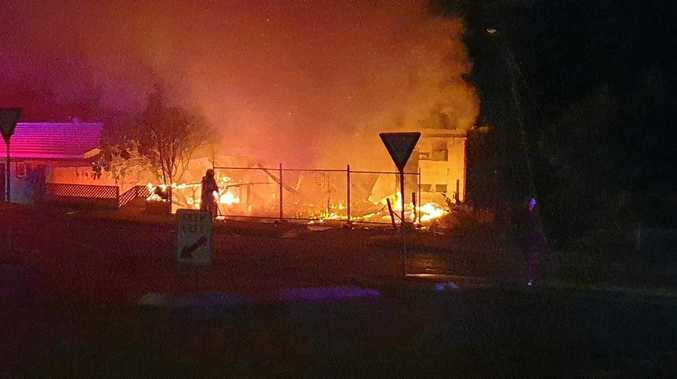 "Once this process is completed, we will continue to work collaboratively with the airport, Queensland Government agencies and other stakeholders to discuss any further management actions," the spokeswoman said. "Early results indicate the presence of PFAS, but at low levels." A Department of Environment and Science spokesman said reports provided by council indicated groundwater concentrations were below national drinking water guideline values along the eastern boundary adjacent to the residential areas. "Department of Environment and Science is currently working with council to ensure that any PFAS contamination uncovered as part of the airport expansion project is being managed effectively."